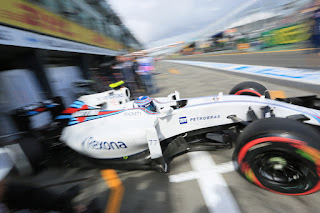 Talking about F1: The F1 blog: Russian GP Betting Preview - Go for a fastest lap long shot? Russian GP Betting Preview - Go for a fastest lap long shot? Usually after the first three races of an F1 season we have a pretty good sense of the year's likely competitive order, but as we keep pointing out this season so far has hardly been a standard one. This may give additional opportunities to the F1 betting punter ahead of round four this weekend in Russia, and Paddy Power offers a range of odds on the impending Sochi gathering. Yet some things look to be fairly clear. As laid out in my Russian Grand Prix preview on this site, the Mercedes drivers are clear favourites for victory in Sochi and for reasons that even are over and above the bare fact that they've won the opening three rounds of this season, as well as the last six of 2015. And you'll get more than double your stake back backing either of its drivers to win again this time, with odds of 6/5 for Lewis Hamilton and 11/8 for Nico Rosberg. 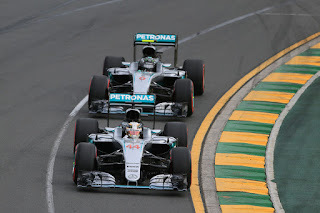 The close odds between the pair reflect too that while Nico has triumphed in all 2016 races thus far there in fact has been little to choose between the two Merc pilots generally other than Lewis's near-monopoly on foul luck. There's also been little to choose between the pair in the previous two Sochi visits, though Lewis has won both of them following something impeding Nico in either Russian race. There also may be value in backing Merc elsewhere, with Paddy Power also offering odds on who is to be fastest in Friday's first practice. Mercedes has dominated that session this season so far too, topping all three (Nico twice, Lewis once), aided by that its closest foe Ferrari is thought to be turning its engine down for that session. Reports suggest that Ferrari may bring an upgraded engine to Sochi but even if it does it's not thought that it'll be running it on Friday. Forecasts suggest the weather will be fine, so rain shouldn't play havoc with the order. Lewis can be backed at 5/4 to top FP1 and Nico can at 11/8. In addition with race strategy options in Sochi usually limited and overtaking difficult a fastest qualifier/race winner double bet on either Merc driver may be particularly tempting - you can back Lewis to do this at 15/8 and Nico at 9/4. Similarly you can get 8/11 on the pole winner, whoever it is, to also win the race. Ferrari does though go to Sochi possibly with an engine upgrade as noted, plus there have been signs in 2016 - though not yet fully realised for a number of reasons - that the red cars are capable of running the silver ones very close. If you fancy these two factors to come together for the Scuderia this time then 6/1 for Sebastian Vettel to win may be worth your while, as might the full 16/1 on Kimi Raikkonen to do so. As for the rest, Williams has a good record at this track, particularly in Valtteri Bottas's hands, and there looks to be value in backing him to finish on the podium. He made the podium in third place in 2014 while last year was in third on the final lap only to be wiped out in a collision with Raikkonen. He's a full 10/1 to get onto the podium this time, which looks fine value even considering Williams' slightly tepid form in 2016 so far. Force India is another squad that started this campaign with promise which it has not lived up to in the opening three rounds' results. Yet 11/8 on either Force India driver to score in Sochi looks worth backing. The Silverstone machine did look good in pre-season and its chief operating officer insisted after the last race that its disappointing placings have been explained by poor luck, plus finishing in the top 10 in order to score isn't an especially high bar. Its Mercedes power unit should serve its cars well down Sochi's long straights too. The Red Bull has by contrast been a clear best of the rest machine in 2016 behind the Merc and Ferrari and Daniel Ricciardo reckoned he'd have got second place in China without his puncture early in the race. He can be backed to make up for it with a podium appearance in Sochi at 4/1. His team mate Daniil Kvyat can be backed at 6/1 to repeat his China podium at home. And if you fancy a long range punt there are the odds of who is to get fastest lap. Indeed given F1's oddities with tyre degradation perhaps this set of prices offers the best value of any of them. In two races out of three this year the fastest lap has not gone to a usual suspect but to someone who has bolted on a set of fresh tyres late in the race and therefore lapped rapidly on low fuel. 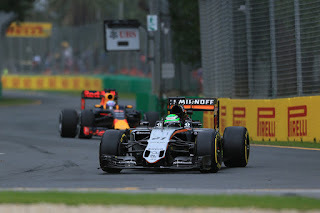 In Australia it was Ricciardo that got it while in China last time out it was the even less likely figure of Nico Hulkenberg. All odds quoted in this article were accurate on the Paddy Power website at 2330 BST on Tuesday 26th April 2016.